A courageous cloud of witnesses bearing fruit that abides summarizes the three readings for this day. The message of God’s word rings down through the ages to our time. We are facing turbulent events in our age: upheaval in many “hot spots” around the globe, refugees, shortages, earthquakes, wild fires, terrorists, fear, diseases, deaths, tsunamis, and not to forget, rising poverty, false religions, gluttony, selfishness, rejection of traditions, and crossing of societal boundaries. We need courage to face the landscape of evil that we see. We also need the inspiration of those witnesses of faith to imitate their oneness in Christ. 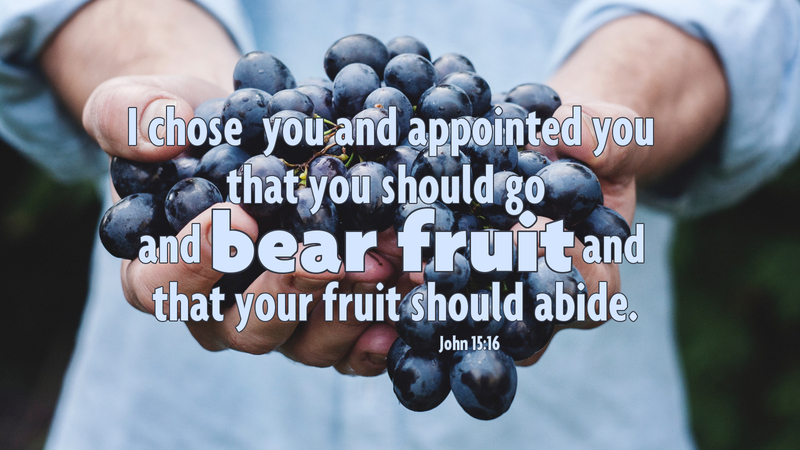 As Christ commands his followers to abide in him to form that oneness of purpose and work, we need to pick up his charge ourselves to produce the fruits of faithfulness. The work is not finished until he returns to claim us, the elect. We must be strengthened by his presence through prayer, worship, and action in his name. We cannot afford to be complacent pew-sitters. We cannot think that by attending a Sunday service that we have completed his will for us and are due eternal life. God owes us nothing. We owe him everything. Prayer: Loving Father, in the name of Jesus the Christ, your Holy One, grant us the strength, the courage, and the will to follow your commands each and every day so that we may abide in your love. Amen.